With a goal of net zero, the design for the salesforce.com global headquarters is innovative in every aspect. Together with a world-class team of consultants, ACLA developed a vibrant vision for this 14 acre, 8-block addition to San Francisco. 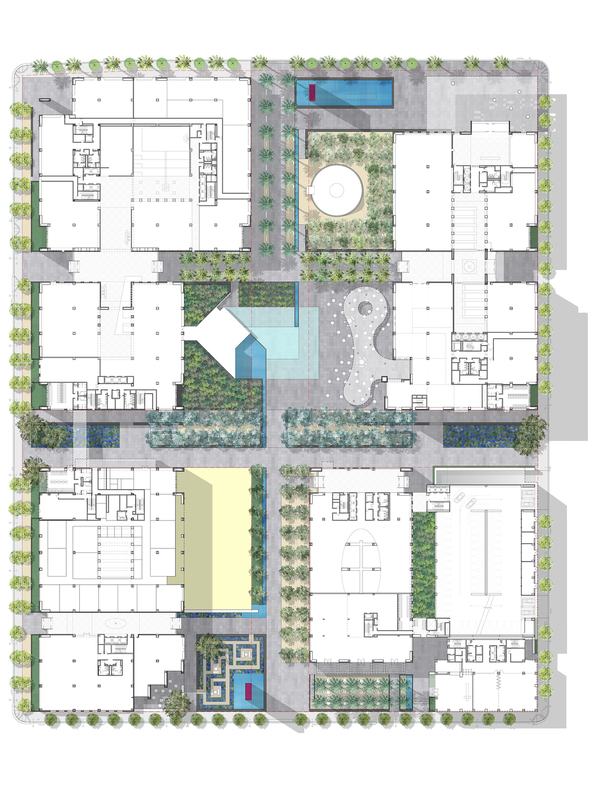 The landscape design, with a budget of 40 million, complements the project’s urban design approach by creating a network of courtyards and piazzas. Open space ‘varas’ are the neighborhood streets of the headquarters, anchoring the courtyards and providing access through the site, while framing views of the bay and the city beyond. The campus edges are porous, anchored with retail, and connect with the larger urban context. Expansive roof terraces further connect the buildings to their environment and add to the public space. At the center of the site, the Town Square is the site’s core public space with a pergola, programmable water feature, and space for hosting public markets and other events. 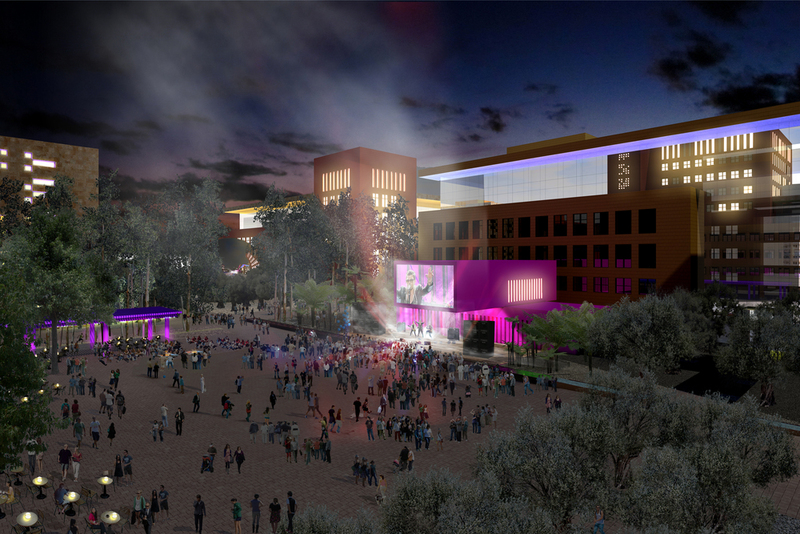 The team worked extensively with the city’s Redevelopment Agency, community groups and Planning Commission to create a vision of the campus that would be a lively and welcome addition to the city.